September | 2013 | Franchising You. 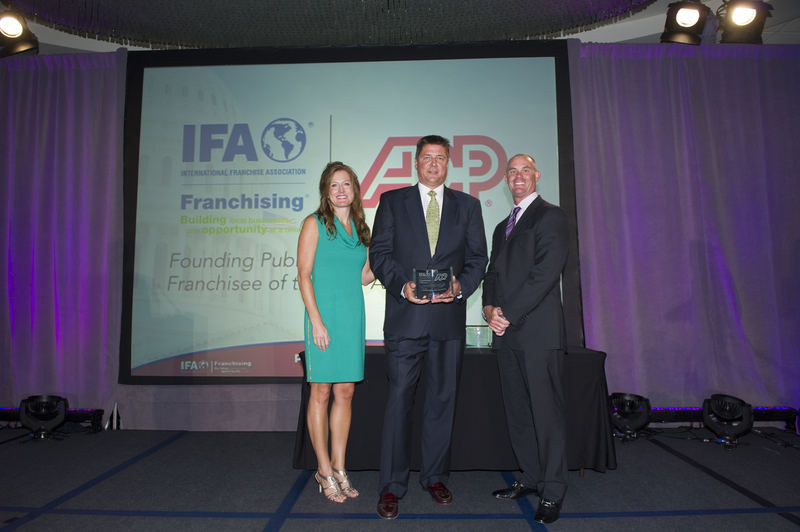 TWO MEN AND A TRUCK® franchisees Alex and Wendy Petrusha were honored recently by the International Franchise Association with its annual Franchisee of the Year Award. The Petrusha’s have been a part TWO MEN AND A TRUCK®’s system since 2002 and currently own two TWO MEN AND A TRUCK® franchise locations, Kane/Dupage, IL and MeHenry, IL. They are consistently system leaders in customer service, which is one of our most important benchmarks and are among the very best in terms of referral rating and overall customer satisfaction. In addition, they have an enviable record in terms of employee retention due to good hiring practices and creating a positive work culture. Alex is recognized as a leader in the TWO MEN AND A TRUCK® system and has served on our independent franchisee advisory council known as the TEAM. He serves on the board of the Illinois Movers and Warehouseman’s Association and is recognized by his fellow Illinois franchisees as a knowledgeable source of information regarding state regulations. 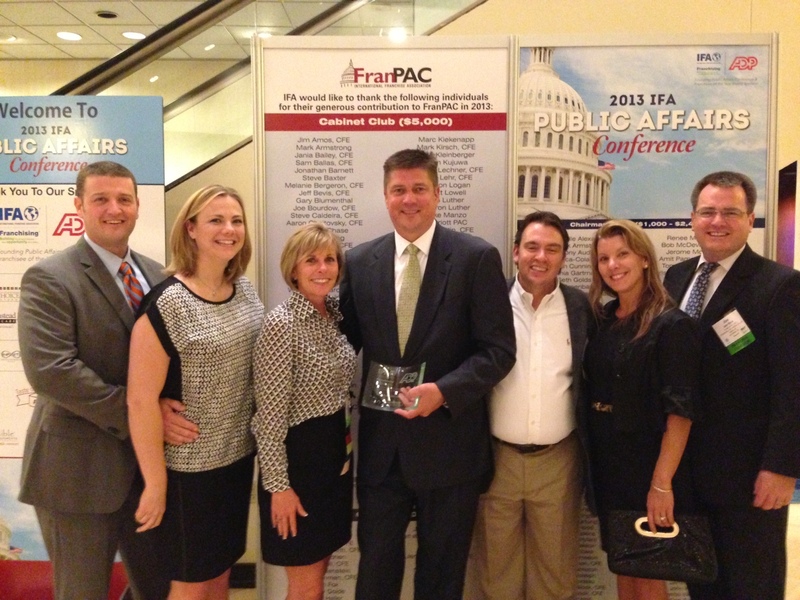 The Franchisee of the Year Award is a major component of the IFA’s Public Affairs Conference, which brings more than 400 franchise business leaders together in Washington, D.C. to carry the key messages of franchising to lawmakers on Capitol Hill. During the two-day event, which began today and continues through Sept. 17, franchise industry leaders will meet with over 200 congressional offices about issues important to the future of franchising such as tax certainty, healthcare reform immigration and access to credit. The Public Affairs Conference is a powerful way to help forward IFA’s advocacy efforts and further increase awareness about how franchising can contribute to economic recovery and job growth. The event is supported by founding sponsor ADP Small Business Services. During their visits to Washington, IFA members are highlighting the economic impact of franchising. According to a study conducted for the IFA Educational Foundation by PricewaterhouseCoopers on the economic impact of franchising, there are more than 825,000 franchised businesses in operation across the country, which is indirectly responsible for providing 18 million jobs and generating $2.1 trillion in economic output. Did you know each day 1.7 billion servings of Coca-Cola products are enjoyed by people around the world? 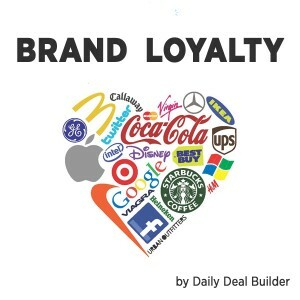 One of the biggest challenges business owners face is not only gaining new customers but also maintaining their brand loyalty. Just like Coca-Cola, every business aspires to be the go-to brand for customers’ wants and needs, but it takes time and effort to build raving fans. Once a customer engages with a brand, they no longer require the traditional sales pitch. Instead they need to be reminded of the benefits of using the brand and feel rewarded every time they make the choice to re-engage. Stay consistent: Every touch point is considered a brand experience; therefore, using clear language consistently to communicate about products and services helps the customer navigate choices. This is especially important for franchises. For example, when someone dines at a chain restaurant, they expect the same service and ambiance at each location throughout the nation. Creating brand consistent messages through all marketing outlets will reaffirm the customer’s trust in the brand and will set you apart from your competition. Connect with your customers: People love interacting with brands, especially when considering specialty products. They want to feel their needs are being validated and that the company genuinely values them. Being present and available to customers, on social media for example, provides an outlet for customers to make an emotional connection with your brand. By listening to what your customers are saying, you can better anticipate their needs. Developing this relationship requires devotion and time, not just during the holidays or a promotion, but throughout the entire year. Deliver on promises: Marketing thought leader Seth Godin said it well, “Authenticity, for me, is doing what you promise, not ‘being who you are.’” Once a customer uses your product or service, they establish an expectation level for future purchases. It’s up to the company to deliver and exceed their expectations time and again. For example, at TWO MEN AND A TRUCK® our mission is “to continually strive and exceed our customers’ expectations in value and high standard of satisfaction.” This isn’t just a saying hanging on our walls; we take it to heart with each decision we make. Remain top-of-mind: Once the customer makes a purchase, it’s important to continue nurturing the relationship. Email marketing is a opportune way to stay in contact with customers. In addition to sending an email directly after the purchase, think about reaching out to them periodically with relevant offers or information which might be valuable to them within the context of your business. Inquire through simple surveys about their satisfaction of recent purchases. Email is also an inexpensive sales channel for sparking interest in new products and services you provide. 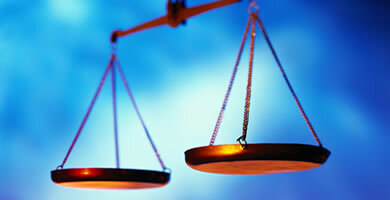 Consumers are inundated with choices today. To foster loyalty, we must think beyond the point of sale and use our strategic imaginations and business smarts to deliver unique and engaging experiences which no other competitor can replicate. So shape your business offerings from the viewpoint of your best customers, and you’ll be closer to creating brand advocates.